Klarden, Demian Walendorff, and 101 more people like this update. you're right, there are definitely wildcards in the deck for this game. 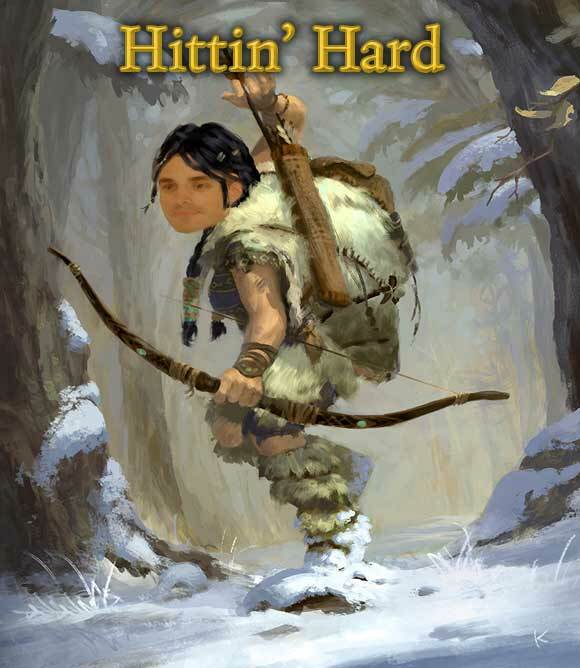 the fact that obsidian can put more of it's own money into this is definitely one of them. i suspect we're probably going to be looking at a 50+ hour game, probably along the lines of a complete run through of KOTOR or something like that, but with probably more replayability. the FASTEST i ever managed to get through that, in a bare bones nothing but the main quest run, was 46 hours. i know people can probably do it faster, but that's certainly more than long enough for me. would i like more? certainly, especially since they're creating such a fascinating world. but i don't expect more than about 50-60 hours, and anything after that is gravy. @trister - Good points regarding budget differences between BG1, FO3 and PoE. And thanks for not calling me foolish :). One thing to consider though is that Obsidian isn't a couple of guys with an idea trying to kickstart their dream project. They're full blown game developer. If they think that a 90+ hour game will will help sell copies, they 'could' invest the additional $$$ in it. I think it's safe to say I won't be disappointed if it's not 90+ hours. If it's 50+ hours, I think I'd be happy. I'd WOULD be disappointed if, however, it were 20 hours. I wouldn't be calling Obsidian out because the didn't promise that. We seem to get a lot of that these days (take Tides of Numenara's decision to go Turn Based. People are screaming they've been cheated when they never promised that). But if it's 20 hours, it's not going to be as much like the old Infinity Engine games as I'd hoped. i'll ask you one thing: what was the budget of those games you mentioned that had such a large number of hours you could put into them? i'll guarantee fallout 3 and skyrim had VASTLY larger budgets, and i'd be willing to guess that even without inflation the others probably had similar budgets to what they're working with now. add inflation and... well, expecting something with that much content is kind of unreasonable. a couple things i've read has BG1 budget at 3 million, minimum. 3 million doesn't go as far as it used to, by any means. so... if we do get that 90+ hour game you're hoping for, be thankful. but don't expect it, because they aren't working with the same kind of funds to make that happen. "RPGs with replay value are those where you can ask after a playthrough whether the story did really end, and you have the feeling that you have somehow not lifted its secrets." In my experience that's not true. While different endings may effect the replayability, some RPGs have that by their sheer quality - for me, I had that in the BG and IWD series, though their narrative is quite linear. @BenW - why is that foolish? BG1, BG2, Skyrim, Fallout 3 are all 90+ hour games without replay? I'm not saying 90 hours of Main Quest. It's 'the way it was done' back in the 1990s RPGs. You could play 90 hours doing all the side quests. Nothing foolish about it....its been done quite a bit. I can relate to that. A game needs this sense of mystery to be drawn to it. This sense of mystery is diminished once the story is ended. RPGs with replay value are those where you can ask after a playthrough whether the story did really end, and you have the feeling that you have somehow not lifted its secrets. What I would like to ask of Obsidian, if you do an expansion, don't simply add an attachment like Baldur's Gate 1, but expand the story in depth and the mystery that underpins it. No game is going to be that 90+ hour one that you want based on content alone. ASking that of any designer is foolish. I don't mind if it's late 2014 or early 2015...as long as it's 90+ hours like a Baldur's Gate type game. I really don't like a 20 hour game with "lots of replay value". I don't really dig playing as different classes just to see how well balanced it is. Once I've explored areas and completed quests, a lot of the magic is gone for me. It's only fun again when it's been years, I've forgotten things, and replay then. What's holding those stones up in the screenshot? That bugs me. @Mind the Gap On the PoE wiki / FAQ it says "Pillars of Eternity is tentatively scheduled to be released in Winter 2014". Of course that's tentative and I wouldn't be surprised if it gets delayed until early 2015.... Hopefully we'll be playing it by the end of the year but personally I'd rather have them take the time to polish it as much as needed. They won't answer that question because they don't know yet. The best possible delivery date is "when it's done." Delighted by each and every update. Thankyou. What types of animals will the ranger be able to partner with? I'm super impressed with the level of thought, detail, balance, background, etc. I really think this is going to be brilliant. I'm really hoping its 60+ hours like the old Baldurs Gate. Just one question. Will you guys meet your release date of April 2014? As usual, another informative update. The heavy hitters have well thought out and detailed skills but I hope that during actual game combat, choosing or switching b/w the skills is fairly intuitive rather than a complex micro management process. 1)Tim Schaffer has his reputation, and that of the entire crowd funding movement, staked on his Double Fine Adventure being a solid game and financial success. He's not going to flake and deliver a quickly churned out second part. He can't afford too. 2) The game already is a financial success. It has been in the top 20 games sold on steam since it was up for preorder. 3) While you may find it "bleh at the very best" the vast majority of people that played it disagree with you (as you can see any place that hosts reviews). True, there are few people claiming it is a masterpiece, but most people agree it's a solid adventure game all around. I would have liked an option for a powerful archer type without an animal companion, but I understand that is part of the D&D trope. Still, really liking the ideas presented here. They seem inspired. Thanks for the update. Screen looks awesome and classes sound solid, no real quibbles. Just very excited for what I hope will be an incredibly good RPG. Correction: 3 should be "Ally with none, Rogue with B"
Say I have a Rogue and an Ally of some kind, and there are two enemies A and B. 4) Engagement is normally recalculated for both Rogue and Ally, however that works, maybe resulting in option 2. Which one is correct, if any? @Chris J Capel I heard the whole reasoning about...."but now the game is soooo much more than it could have been on 3.6 mil". Of course Tim would say that, the fact is other KS games with similar budgets are in much better shape and will be full games....look at Wasteland 2 going through its beta. 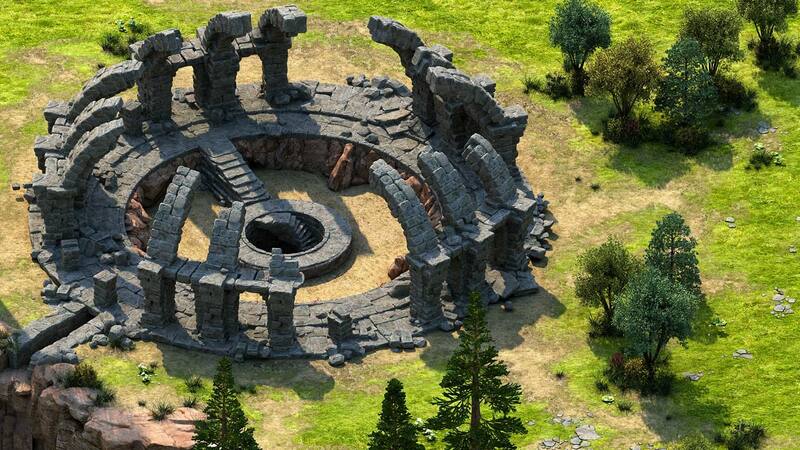 Then we've already seen a bit of Pillars of Eternity is turning out. And saying that the second half of the game "will" happen is one thing but doesn't mean it will be even close to the quality of the first half. I can already see it: "Well the first half cost 3.6 milion but it only made 500k profits at retail so here's a 10 slide powerpoint to finish the game." I don't care what the excuses are, if you blow 800% funding and all you can deliver is half a game, you do not deserve to be trusted with money. And the first half really isn't that great....it's bleh at the very best. I love all these environment pics I have seen - until 3D games can look like this I will prefer 'painted' art for isometric fantasy games. Great update as always! I am really happy with the decisions you made and all looks as if everything is thought through very well. I am so much looking forward to play this game!!! Btw: Whatever happened to the Arcunaum playthrough? I see that Chris is taling part in all kinds of other projects here and there. Thats nice for him but I really liked the episodes so far and had hoped they would actually be continued. Best of luck for the goog work you are doing! Playing with all three heavy hitters seems a lot of fun, but watch out for the amount of micro-management required, guys. I don't wanna play another Dragon Age: Origins. 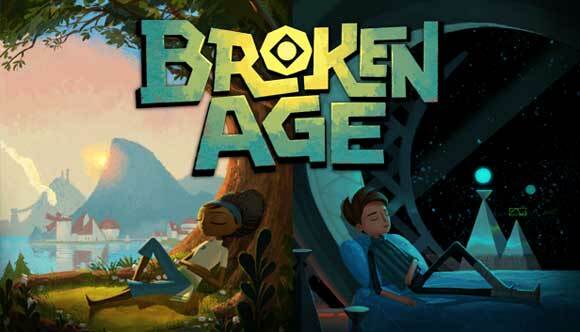 And Broken Age! Finally! And I can say so far it seems to be great game! I could have sworn that I filled out the reqrds thing before, I guess I was wrong, good thing I checked. Neat stuff! Thanks for the update, Obsidian! I'm not sure if this has been answered yet, but is there an add-on option for a physical expansion? I'm in the process of confirming my backing level on the site and don't like the thought of the physical CE not being definitive (or at least including a way to bundle a physical expansion). Keep the updates and screenshots coming! Glad to read you guys are working so well with Torment: Tides of Numenera! Oh man, love to see some info on my favorite class types, Rogues and Rangers! -2/encounter : you can use this ability twice in this encounter... then twice in the next encounter. -3/rest : you can use this ability 3 times... and you need to rest to reset the counter to 3. Holy jesus, archers are going to be absolute BEASTS. The site seems to experience some serious problems. @Darth Trethon: "Tim mismanaged 800% funding, delivered a poor half-game and now the second half is dependent on the the poor first half selling well and generating millions in profits(which I don't see happening). This can very possibly leave all the backers(and all who buy the first half at the full game's price) with a quite poor half game that never gets finished. That is a major betrayal of trust." Wow. I was tempted to ignore you as I ignore all trolls, but you need to be taken to task for just making things up. A) The game grew exponentially from the original idea and price. After they spent their Kickstarter money they used their own money. Which part of this is bad? B) It's a great game. 81 on Metacritic, 8.5 User Score, for half a game. You're allowed not to like it, you're not allowed to call it "a poor game". C) Broken Age will be finished. You're making things up from the little you've read. 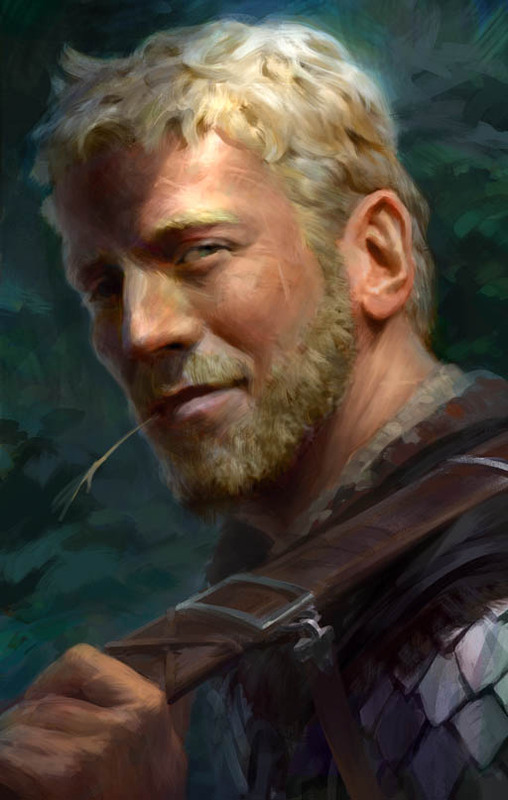 Edér is a rogue? Damn, I was expecting him to be a fighter. This might be a silly question, but what are the #/rest figures after some of the skills? No mention of licensing your techies to inXile? Your signup page is broken! Nice update, interesting info. Although I'll only ever play as a Wizard/Cypher. I am very unhappy to see Broken Age get such a mention. Tim mismanaged 800% funding, delivered a poor half-game and now the second half is dependent on the the poor first half selling well and generating millions in profits(which I don't see happening). This can very possibly leave all the backers(and all who buy the first half at the full game's price) with a quite poor half game that never gets finished. That is a major betrayal of trust. Now I completely trust you guys at Obsidian, I am not worried about you pulling any such shenanigans as Tim did but I still find phrases like "...our friends at Double Fine..." particularly troubling.